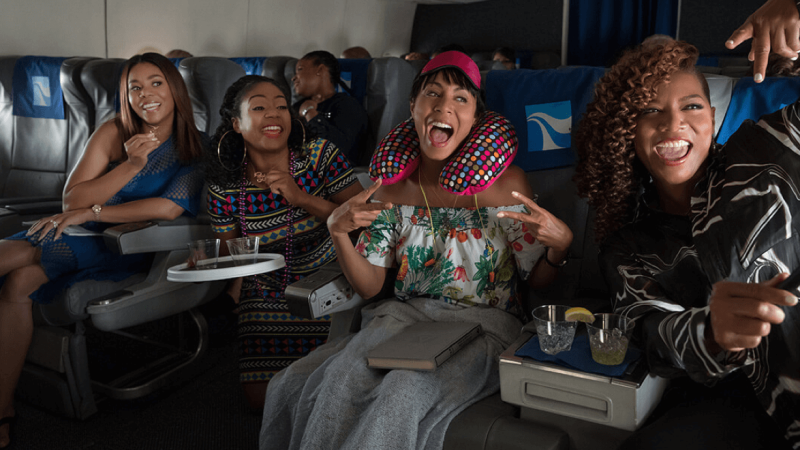 Girls Trip scored largely positive reviews ahead of its release, and now the numbers confirm that it is the year’s biggest comedy. With $30.4 million at the box office—second to Christopher Nolan’s Harry Styles’s Dunkirk, which made $50.5 million—Girls Trip had the largest opening weekend for a live-action comedy in 2017. That’s a big, impressive accomplishment in a year that also featured Amy Schumer’s Snatched and the Scarlett Johansson-led ensemble comedy Rough Night, which previously opened with $8 million. Variety notes, “even during a crowded weekend, Universal’s Girls Trip is breaking the curse of underperforming R-rated comedies this summer.” Indeed, many of those movies were objectively bad. Other big comedy flops include Baywatch and The House, starring Amy Poehler and Will Farrell. Elsewhere this weekend, Rihanna and Cara Delevingne weren’t enough to make people care about Valerian, director Luc Besson’s big-budget comic adaptation. The movie fell flat at $17 million.